your most recent referral's going to show up here in a week or so. 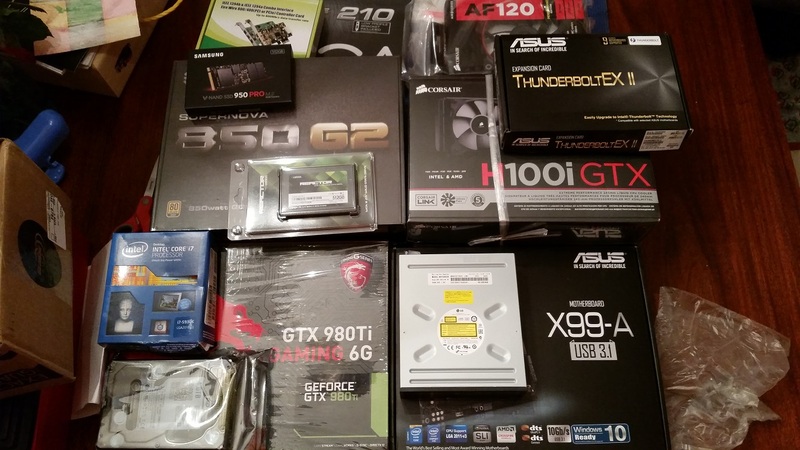 pretty nice graphics powerhouse, most powerful single box i've ever done. Hey Brad, I have been considering installing a secondary OS on my machine—I'm having issues with my new Novation Impulse controller not wanting to play nice with Windows 10, so I'm thinking of installing a separate instance of Windows 7. Would you recommend that I partition the Main OS drive, or should I just buy a separate SSD for the second OS (making sure to unplug the 3TB HDD to prevent myself from accidentally installing onto that drive), and if so, what make/model would you recommend? you could partition the drive, but with 120gb SSDs being so cheap nowadays, just installing on a separate drive isn't a bad idea. samsung 850 EVO is the gold standard for SSDs, but there's a lot of good ones out there, including the mushkin enhanced cronos and crucial's line as well. make sure to unplug both your 3tb and your SSD when you do the W7 install so all system partitions go on the drive you're installing to. never done a big post in this new UI, but here we go. nice looking case. note the dual removable HDD cages, a surprisingly functional toolless system for the 5.25" drives, the large CPU cutout, and the huge vents on top. the top's pretty nice - just a push-snap to keep the top on, so it's easy to remove it and stash wiring there. wound up having to keep the CPU cooler fans up there because of the motherboard's chipset risers getting in the way of the fan otherwise. here it is with some pieces in. no cabling yet. note the cpu fans are absent - they're actually above the top of the case, in that ~3" void between the top of the case and the top of the interior. 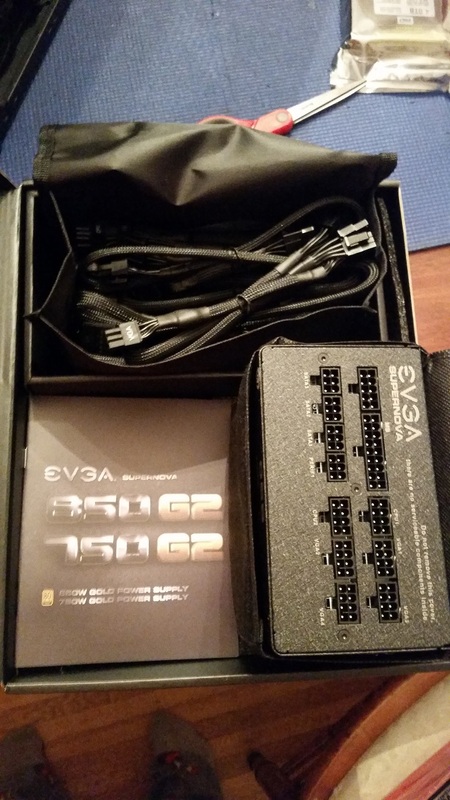 you know it's a nice PSU when it's fully modular, and both the PSU and the cabling come in custom-sized bags. 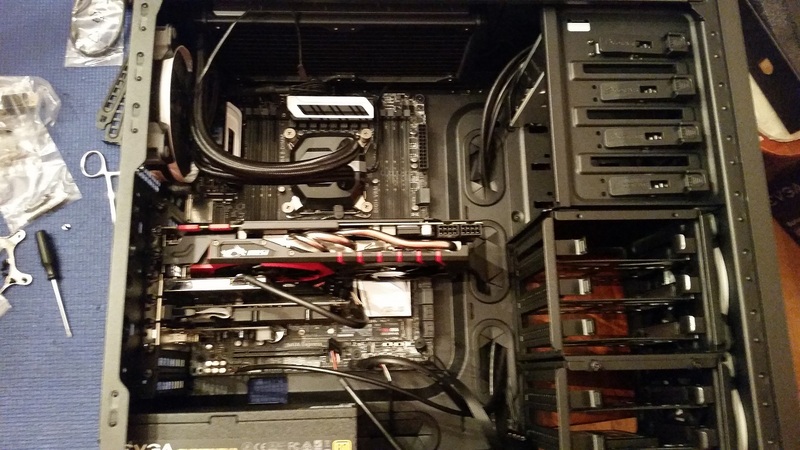 not the nicest picture, but here it is with the components in (no cable management yet). that thunderbolt riser's going to kill me, there's just no way to disguise that cable. more pictures tomorrow night, featuring real cable management! Curious as to what your take is on an i7 is for a strictly audio only offline studio pc. Is it 100% necessary these days or could an i5 still keep me going for several more years? Is it even possible to keep a studio pc offline anymore? 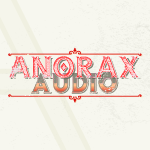 There seems to be a ton of VST's that require online activation with no option (unless it's hidden) to activate for an offline pc. there's two schools of thought on that. one is that more cores is better, and even an old i7 (my music pc still has an i7-860 in it, 2.93ghz x8, sells for about 100$ now) can be really nice. the other is that ghz rules supreme, and the i5-4790 is certainly a good example of that. look at what you're using, and what you want to use, and scale appropriately. if you're using a 2500K right now and want to double your performance, a 4790 might not be enough - or maybe it will be, depending on whether your apps are properly and consistently multithreaded. i usually get specific examples so i can suss out what's good and not for this. as for keeping it offline, frankly i just buy the software and then download a crack. that way, i own it, and i use it in the way i want to (which is on a pc that can't access the internet). very few VSTs really don't have any offline activation, though, there's only a few i've had to do that for. Lots of VST's have one-time online activation. Waves, Omnisphere, all of Native Instruments, etc. so connect it one time, then. my connection restriction is due to a static IP that's blocked at the router level from accessing external traffic. it's got full access to the rest of my network that way. i just disable that firewall for a few minutes, activate, and then wall it off again. I'm not a very technology inclined individual. I know as much about connecting to the internet as plugging the blue cord into the back of my pc in the appropriate looking hole. Sometimes I accidentally try to put the cord in upside down, but that's about the extent of solutions i know to my connectivity problems. I've kept my pc offline for close to a decade now and it still runs just as well as it always has and i've never needed to reformat it or do any of the maintenance that i've had to do with my gaming pc. Knowing the problems i've had with the machine in the past I wouldn't want to think about how many more problems I would have with a machine that's bogged down with antiviral, antiadware-al, and a bunch of random processes that i have no idea where they would have came from in the first place. Sounds like having an offline studio pc is still a thing though so we're good. i don't run antivirus or anti-malware on my main pc. Brad, what are your thoughts on SSHDs? why bother? go size or speed. trying to get the middle of them is not a successful strategy. a 512gb SSD right now is 170$ (mushkin reactor). a 256gb SSD is on sale for 65 right now. just go for those. if you only have one slot and desperately need 1tb, get an external and an SSD. Well, I have like, three available drive slots left in this case, but that means I have to mess with your fancy cable tying. I'll probably grab an SSD in the next few weeks. 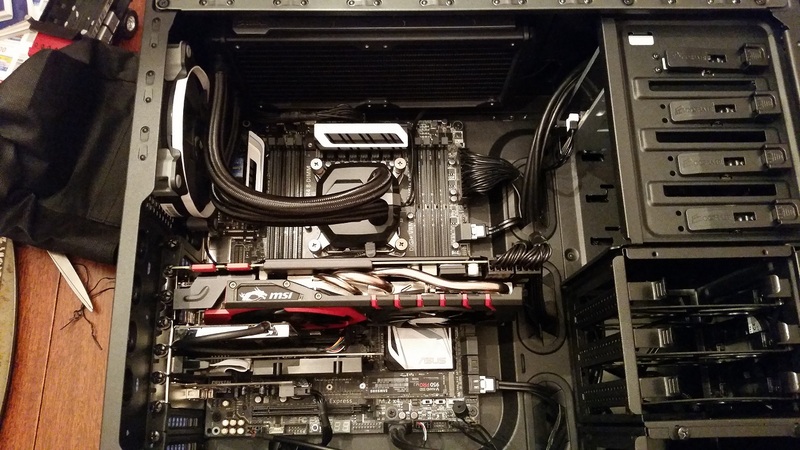 ssd's the way to go, and i don't think i did anything too crazy with those cables. just some wire ties, i think. just make sure you've got an equivalent power connecter nearby and accessible and you'll be fine. make sure you've got a SATA-III cable too (6Gbps, not SATA-II, which is 3Gbps). they should say on the plastic casing around the cable. new computer? =D nice! honestly i don't find the i7 stuff available now to be that overpriced for what it does. the 5930k is selling at about 580$ with an MSRP of 595$, so maybe i don't know what you mean? Well, the MSRP for a 6700k is $350, while the price for one these days has been around the $410-420 range for a while now. I haven't seen a sale price for it dip below $370 since the shortage started last year. But since you bring it up, what's the significant differences between the Haswell-E series, like the 5930k, and the Skylakes? I can see the additional cores on the Haswell, but also a lower single-core clock rate. I've heard they don't overclock as nicely, too, but I don't actually know all that much about either. for some reason i transcribed skylake into i7 in my brain, and i don't know how. that's like apples and dishwashers. skylakes are doing nice because haswell-e is really only a power-user cpu, and skylake as a whole is totally worth it too. not a lot of people need the extra core, and you're right - they don't overclock without some effort. they're not particularly practical for most users because of the lga2011-3 requirements. 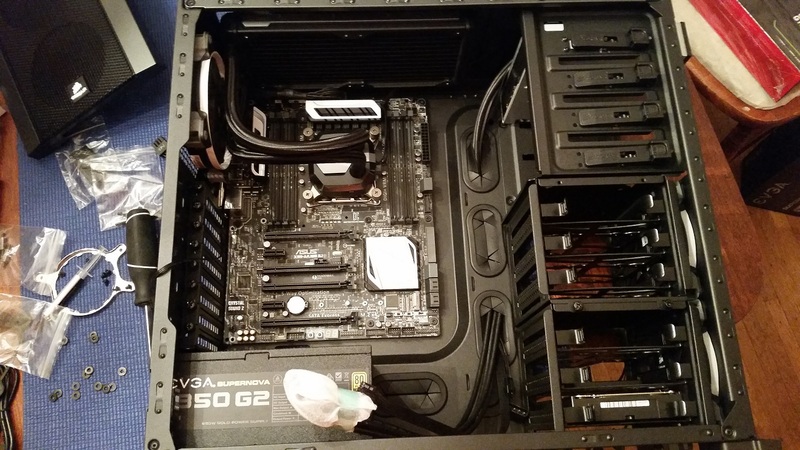 That case in the build pix above -- is that a Fractal Design R4? Looks awfully familiar. Speaking of pics you never posted the rest! it's a corsair 500r. ton of room in that case. the side panel swooshes add a ton of space in the back, which is nice for people with way too many spare bits in a case. i didn't post them because i took few of the final stuff. this is it without the 8 sticks of ram in it, so pretty much done. still can't believe i hid the thunderbolt cable as well as i did. 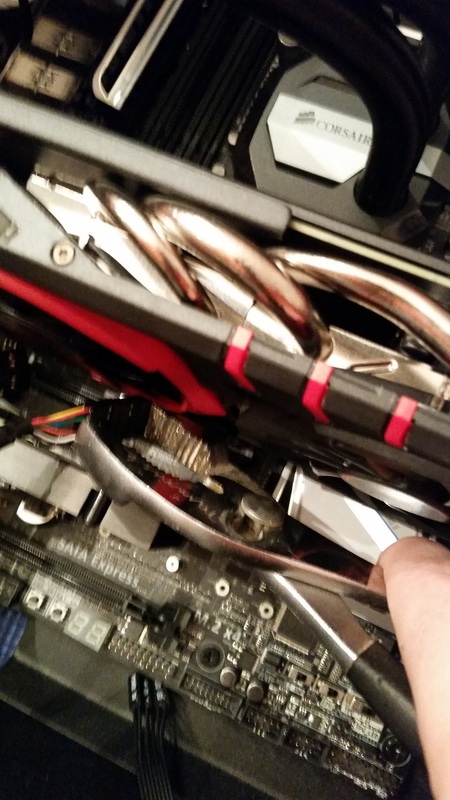 that's the rainbow cable next to the GFX card. 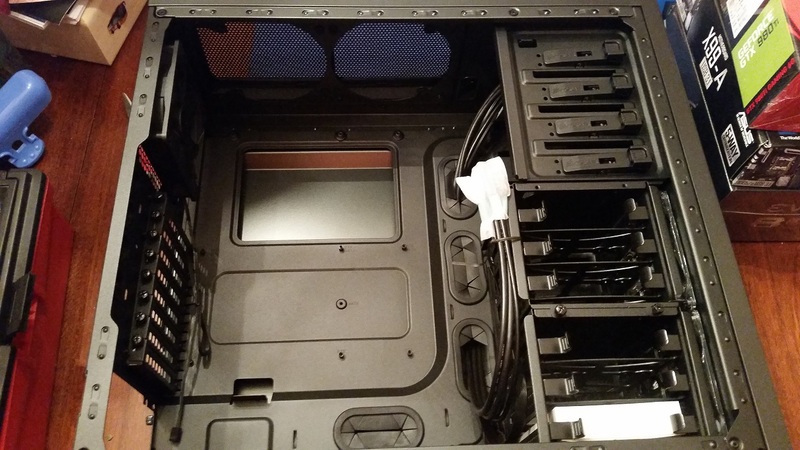 for a non-custom wiring job, i think it turned out darn good, especially considering the amount of crap in the case. the optical drive could have been cleaner if i'd put it near the GFX card, maybe, but i wasn't in the mood to move it again. I may be getting that new computer sooner rather than later, due to an annoying problem with my current one, unless I can figure out what the problem with it is. When I boot up my computer for the first time for the day, there's a very good chance of it BSoDing within the first few minutes due to some unknown error. However, on subsequent restarts it doesn't have the problem until the next day (presumably it's more of a 'after it's been off for a while' situation). The BSoD usually presents itself by first freezing the Windows UI for a few minutes (but not the mouse, oddly enough) before presenting the BSoD, after which it may or may not do its error dumping and restart. Regardless, once I restart, I almost never have an issue, though occasionally programs will behave oddly (like Chrome tabs and extensions constantly crashing) until I restart again. The only thing I've noticed in particular is that, when I restart and log into the computer after a crash, it plays that 'new device plugged in' chime, but I'm not sure what it's detecting. The only thing sitting in my Removable Devices icon is my GTX 750 card (which is odd in itself, actually). I've run WhoCrashed to see if it could tell me anything, but all the crash dumps point back to the Windows kernel (ntkrnlmp.exe) but with different exceptions: PFN_LIST_CORRUPT, IRQL_NOT_LESS_OR_EQUAL, SYSTEM_THREAD_EXCEPTION_NOT_HANDLED, and SYSTEM_THREAD_EXCEPTION_NOT_HANDLED_M are the most recent four. I've run Memtest for 8 cycles and it found nothing wrong with the RAM, so I'm not sure what the issue might be. Hardware or software... Hardware is the most likely cause, since I think this started not long before I reinstalled the OS, but not as bad as it is now. I'm in the middle of trying to remove extra hardware one at a time to see if I can pinpoint a cause, but it's difficult since I can't know it's worked or not until I've gone a long while without a problem. But I'm guessing a CPU or Mobo problem is most likely, given the range of errors being spat out. sounds like the mobo to me, but no way to tell for sure without really digging in. is this the one i built for you way back in the day? i don't remember the 90 number on it, but if you give me the number i assigned to it, i can look to see what the parts are and if anyone had similar issues with your stuff.